With over 12 years’ experience in the industry, 5 of which within BIM Management roles, Brad has developed his core expertise in BIM Management and coordination through his work across a diverse array of projects and industry sectors. His role includes the enhancement of practice-wide BIM capabilities as well as project-based BIM Management, coordination and support, incorporating key workflow and systems refinement, parametric modelling, and quality assurance. Whilst in the role of BIM Manager for ClarkeHopkinsClarke Architects, he guided the office of 130 staff through the implementation and refinement stages of BIM, providing training, support, standards, content creation and management across their portfolio of 250 active projects. 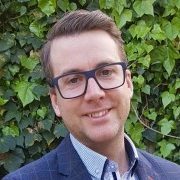 Brad is the Director and Lead BIM Manager of bimco, a Melbourne based BIM Management consultancy which provides all levels of BIM services including project BIM Management, Preparation and administering BIM Execution Plans, development of BIM object libraries and delivery of BIM projects. bimco is a BIM services consultancy that provides BIM Management, support and training for Architectural, Design and Engineering firms. We believe that successful BIM requires a multifaceted approach focusing on industry leading standards, an intelligent object library, an expert support network and a quality training programme. Our service is based on a subscription per user giving you the opportunity to scale up or down to suit your business size making it economical for any practice.